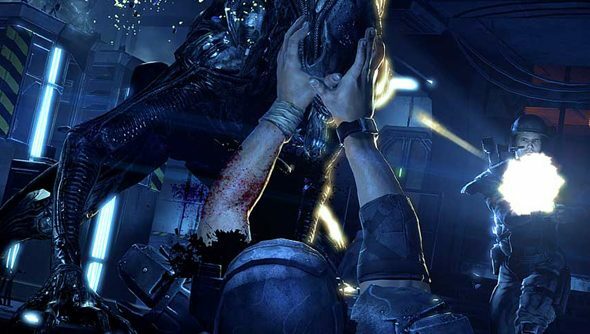 Sega of America hope to pay $1.25 million to extricate themselves from a class action suit brought against Gearbox over pre-release demos of Aliens: Colonial Marines. The publisher filed a settlement plan yesterday that will see them cleared of further litigation if approved. The suit claims that Gearbox and Sega falsely advertised Colonial Marines by showing unrepresentative footage at E3 and PAX. Attorneys for plaintiff John Locke, who filed the suit on behalf of Aliens buyers deceived by its marketing, will ask the court to grant approval of Sega’s settlement on September 17. Of the $1.25m, $312,500 will cover attorney fees, and the rest will be used to pay players who bought Colonial Marines before February 13, 2013, the day after its release – i.e. when it became immediately apparent how bum it was. Customers who fill in a three-question claim form and are approved will receive compensation of no more than they originally paid for the game. “Quite importantly, the settlement only releases claims against Sega – not Gearbox – so the litigation will continue as to that defendant with the prospect of further recovery,” reads the filing. Sega continue to deny any wrongdoing – but have settled to avoid further court costs and uncertainty. If the publishers have their way, Gearbox will continue to defend the case by themselves. But Gearbox recently filed their own request to have the claims against them dropped.